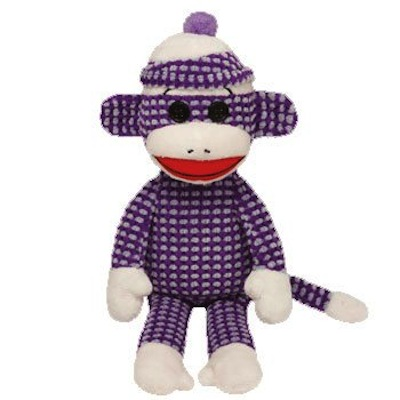 Ty Socks the Sock Monkey Purple Quilted 8" Plush, Ty 40995. It's such an awesome color to wear. Why is it so great to me? Because it's the color of royalty!